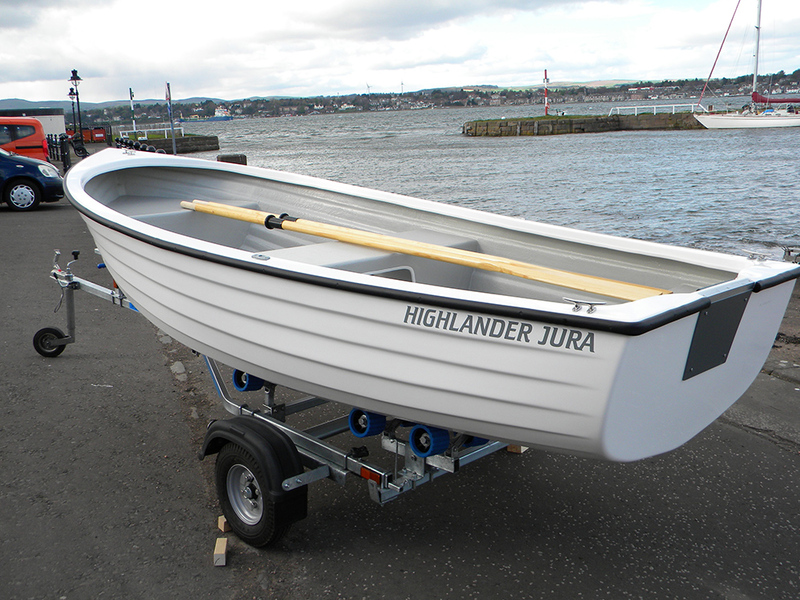 Introduced recently to the range the Jura is a step up from the Arran dinghy with a larger carrying capacity but with similar traditional lines. 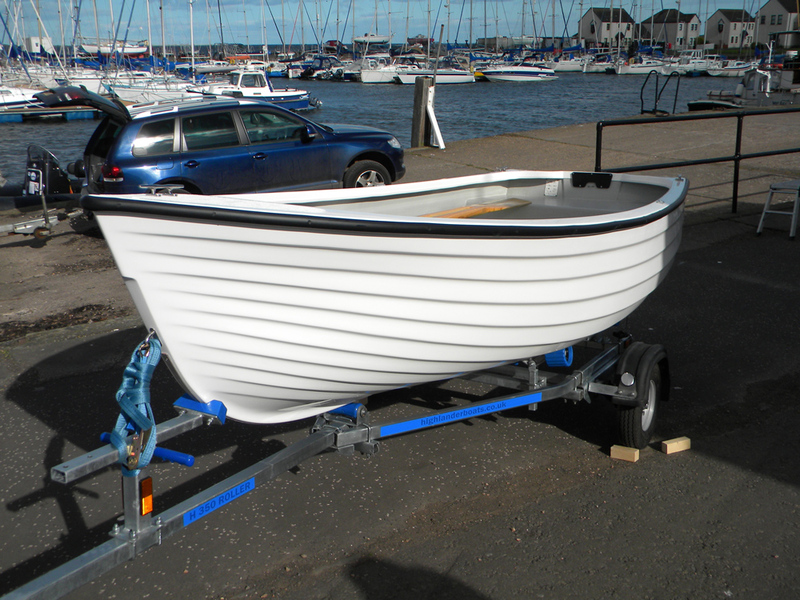 It is ideally suited for pottering, fishing or as a larger tender. 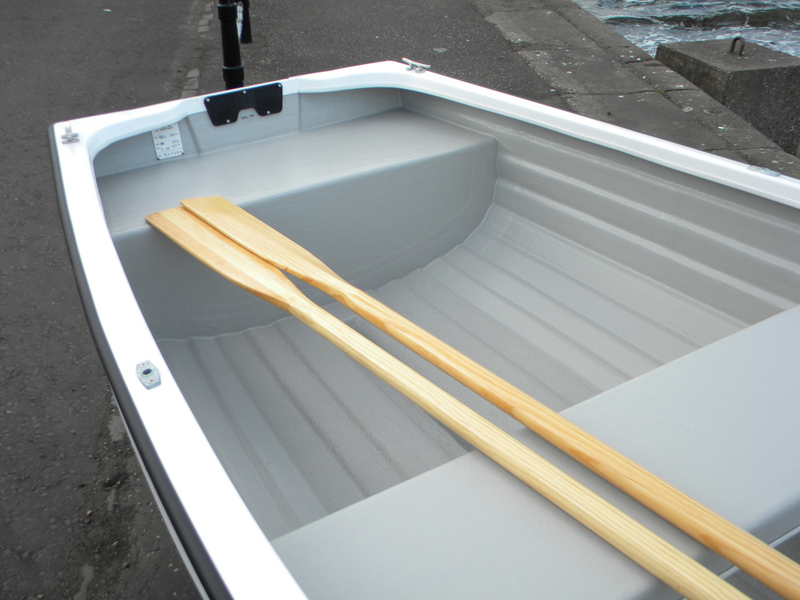 The boat rows nicely, and can also be powered by electric or petrol outboards such as the Tohatsu 3.5hp long shaft. 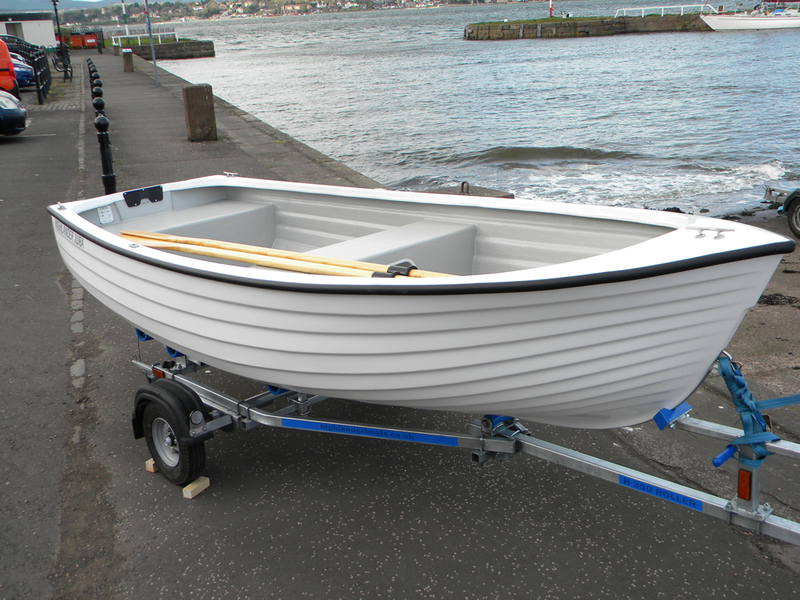 The boat will happily carry four adults or 350kg. The Jura is available on its own or can be packaged up with a launching trolley, road trailer, or outboard dependant on the customer’s requirments. 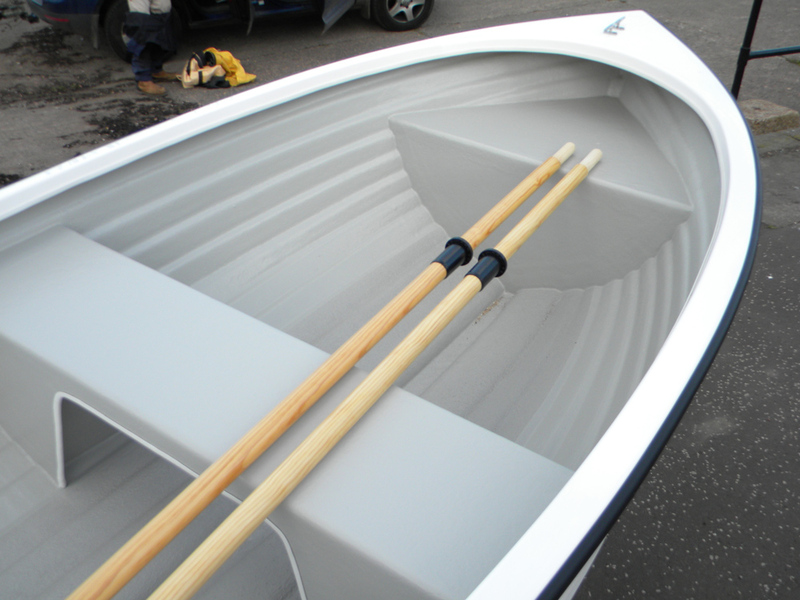 The boat is hand in first quality glass fibre with the floor area coated in our own safe tread deck finish. A range of colours are available for this model. 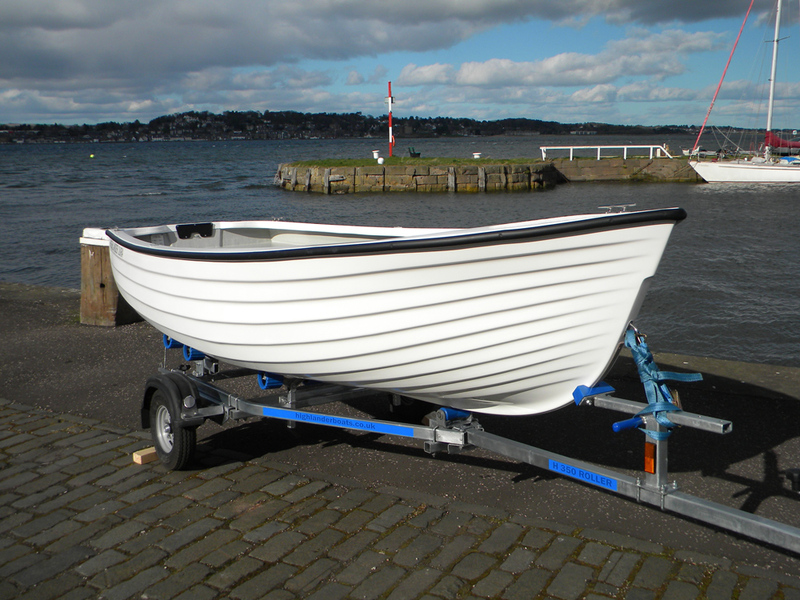 Key to this model is its simplicity it is easy to row, easy to launch, easy to tow, and easy to maintain.